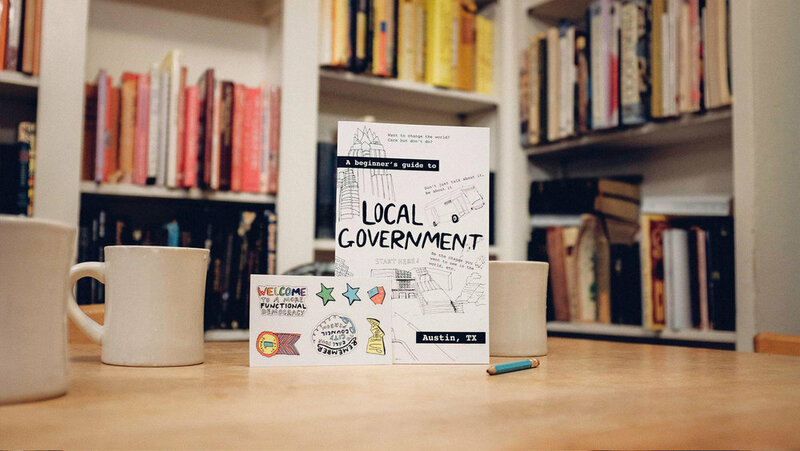 In walks "A Beginner's Guide To Local Government," the ultimate handbook for badass Austinites hoping to make a difference in their local community and beyond. Our goal is to get these books (and the education and inspiration they contain) into the hands of thousands of Austinites. This work starts in our city, but it has the power to extend throughout the entire country. We need a nation of civic enthusiasts, well-educated voters, and empowered individuals who know how to make their voices be heard. Help us start a national movement right there in Austin Texas. Click here for more information.